I have a theory that I am sure you might like. I accepted the fact that Michael is the Foxy Bully. This is just a theory I've made to add to Michael's story. I think that William Afton planned the whole thing. The only reason why Mike bullied his younger brother is because William Afton TOLD him. What if Mike DIDN'T WANT to bully him? It seems like Mike was defending him. Why? Out of guilt? Who knows. But yet it seems like the Midnight Motorist minigame seems to connect to FNaF 4 very closely. I assume the Crying Child's death was more than just a prank or a accident. Mike killed his brother because William Afton forced him to do it. Due to how abusive William can be to his own children, it seems very likely Mike bullied his brother out of fear and wanting attention. Plus, since we see moniters and footages of the FNaF 4 house. It seems like Mr. Afton was making sure the Crying Child stays inside his room, or face the consequences. I'm sorry. I do not wish to cause anymore trouble. Please unban me from discord. 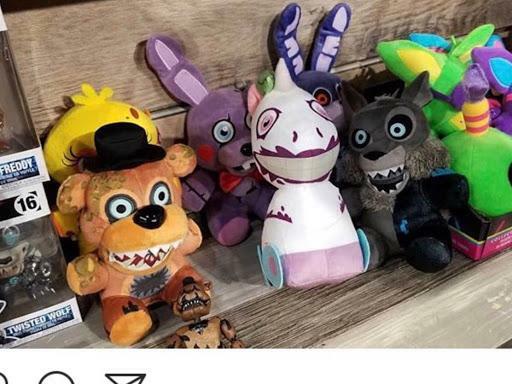 I want to add the withered foxy image may i plz? so watt does that mean? I have been working on a fanmade sequel to the Twisted Ones along with a fanmade novel specifially for the main story in the games' themselves. So far all I've got is that Charlie's mother is the lady in the red dress and I also kinda wanted Michael Afton to have a more reacurring role but he's not quite the same as he was in Sister Location. I wonder what you think so far. It's been a while. I was just wondering if I can talk to you again. Maybe I'll send some of my FNAF fanart for you. Maybe we can be friends? Only if you stop your arguments on lore discussions. For some reason, I just cannot stop drawing William Afton lately. I usually make him as he was depicted in the novels. Mosttly because I am not a huge fan of drawing a purple stick figure with white eyes. Where do you find Twisted Foxy ? Read the post about it on the FNaF:SL wiki.